Supporters of Ashers Baking Company have turned out in their hundreds at Christian Institute meetings this week. Almost 2,000 people came to events across Northern Ireland ahead of next week’s Supreme Court hearing in Belfast. Judges in the UK’s highest court will decide whether Ashers broke the law when it politely declined to create a cake with a pro-gay marriage campaign slogan in 2014. The Christian Institute has been helping the McArthur family – who own Ashers – since the case began, and will continue to do so throughout the Supreme Court appeal process. The Ashers case is a current example of compelled speech. At public meetings this week, hundreds of supporters heard about the background to the case, the ruling against the bakery and what is at stake in the Supreme Court. Institute staff explained how the implications of the case will impact upon “real people from all walks of life”. Supporters heard that Christians “cannot switch-off our faith when it comes to the workplace”, and that “God must be glorified in every area of our lives, not just in our church attendance”. “The Ashers case is a current example of compelled speech, people being forced to say something they disagree with, or promote a cause they believe to be wrong”, the Institute added. 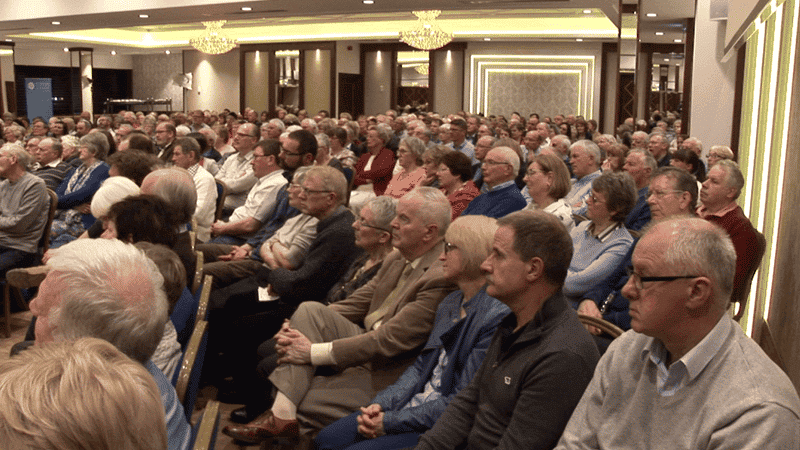 One of the meetings had to be relocated due to the immense interest, with around 600 people attending in Craigavon, nearly 400 in Newtownabbey and more than 250 at a daytime meeting in Bangor. Over 300 supporters came to Thursday night’s meeting in Limavady, Co. Londonderry. Almost as many again made it to the final event in Clogher Valley. Supported by The Christian Institute’s Legal Defence Fund, Ashers is defending itself from a lawsuit brought by the taxpayer-funded Equality Commission for Northern Ireland. The Supreme Court has said that Lady Hale, President of the Court, will hear the case, alongside Deputy President Lord Mance, Lord Kerr, Lord Hodge and Lady Black. And for the first time, the court will base itself in Northern Ireland – sitting in the Inns of Court Library at the Royal Courts of Justice.